Guagua Pichincha is one of Ecuador's most active volcanoes. The stratovolcano is part of a complex that rises immediately west of the capital Quito, at only 8 km distance from the city center. 3 major explosive eruptions have occurred at Guagua Pichincha in the past 2000 years, the most recent one in 1660. An event of similar size today is a major threat to the ca. 2 million city of Quito. The volcano and the older extinct Rucu Pichincha stratovolcano form a broad volcanic massif 23 km in diameter. Historical activity of the volcano has included large explosive eruptions some of which produced sub-plinian and plinian eruption columns, lava domes. Guagua Pichincha volcano's eruptions frequently produce dangerous pyroclastic flows. 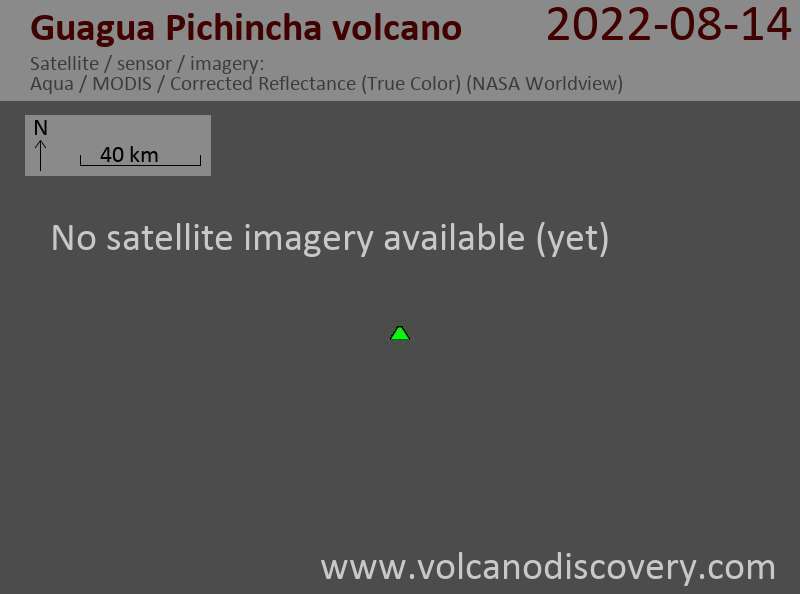 Following a 100 year long interval of being dormant, Guagua Pichincha volcano has entered a new phase of low seismic, phreatic and magmatic activity in 1981. Землетрясения стаи недавно были обнаружены под вулканом. Они могут быть ранние показатели новой деятельности в среднесрочной перспективе (от недель до месяцев).